Jean, Im so excited to be a teeny tiny part of this huge journey you have embarked on! This will make such a difference in the world of mommys out there who want what is best for their kiddos!! love love love thank you for makeing this. cant wait for the site to be ready. *new* DSD mama showing some love! I think this is FANTASTIC and can’t wait to buy one!!! Will there be a training pant kit?!?! There are not plans for a training pant at this time. Thanks for asking. Is the PUL on cotton or polyester fabric? Why does everything have to be gendered? It’s just easier for some customers. 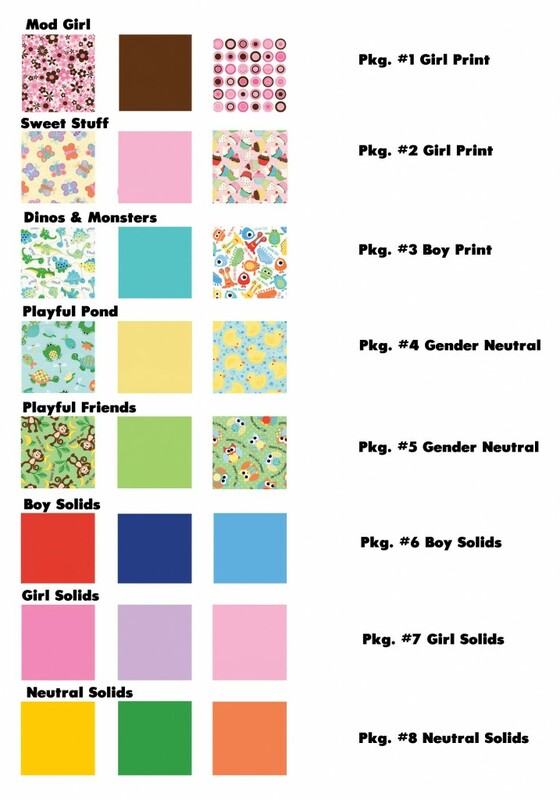 Actually, the “boy” prints really work for a girl as well, but the boys probably wouldn’t want Pink flowers! I have a hard time getting my husband to wear a dusy rose tie!!!! You are amazing! So excited to see your hard work pay off with such a wonderful product line and display at my local Jo-Ann – THANK YOU!!! I just saw your products at JoAnns this morning and ran home to check out the link. Your PUL is adorable and I can’t wait to try out the notions as well. I’m passing the word on to all my diaper sewing friends. They’ll be so excited we don’t have to order online anymore! just wanted to say that my local Joann’s is in fact carrying your pul (which is amazing seeing as I live in a tiny town in alabama where no one except myself uses cloth diapers) and I am THRILLED!!!!! oh how EXCITING! I have been sewing diapers for just under 8 years, selling for 6, teach classes about cloth and how to sew diapers, and run the newtoclothdiapers.com website. I can’t tell you just how thrilled I am to be able to refer people to local stores to buy GOOD supplies and (from what I’ve read online so far) a good pattern. I just wish I could have been on the design team! I would love to get involved in teaching the class you are developing. This is so AWESOME!! I am so excited about this, i love eco friendly stuff, and i am a stay at home mom and would love to make a little extra money from home and help the environment as well, even my husband was just suggesting using cloth diapers for our baby recently, this is perfect and so stylish, i know it will catch on quick! I really, really, hope they have classes where i live because I will DEFINITLEY take them! 🙂 Thank You so much! Thank you so much for coming out with this line. We have been cloth diapering for a long time now- and at last I can make some diapers of my own and we are expecting in early March- so I can make some for our new baby as well. Also I have been interested in making diapers and selling them as well. Thanks again very much. Thanks for commenting. Your baby must be due very soon, I hope you have a safe delivery. Be sure to join us on the website and share pics of your diapers! I’m sure you find diaper sewing as addictive as many of us do! Just made my 1st one and will teach it in Jan at my JoAnns……Just wish I had a baby to model it! That’s grat, be sure to join the other Moms on facebook for inspiration and support! It was fun to do and I am cutting out 6 more! Very cool! Post some pics of your diaper creations on the Facebook page. We always like to share and see new diapers. Have fun and thanks for commenting. Sorry for the late reply – you must be in the midst of preparing for the baby, April will be here soon! I’m glad you are going to dry the cloth diapers. Please join in on the Babyville Boutique Facebook page for lots of inspiration and support. See you there! Hello, how and where can I get some fabric to make Diapers? JoAnn, Hancock and Hobby Lobby have the PUL as well as Fabric.com and other internet retailers. Please join us on the Babyville Boutique Facebook page for more information. I just wanted to let you know that I’m completely in love with your patterns. I barely know how to sew, and I’m completely new to cloth diapering. I read on the internet that sewing cloth diapers wasn’t as complicated as it might seem, so I went to JoAnn’s last week in hopes to do some research and I found the Babyville Boutique items. Oh my goodness! Within one day I had three diapers made, and the next day I made the hybrid clam shell. I’m so excited and proud of myself for doing such a great job on my first try. I love the prints and colors! So glad you are having fun sewing the diapers. It’s really addicting, isn’t it? Is there a tutorial on using the pliers to adhere the snaps? 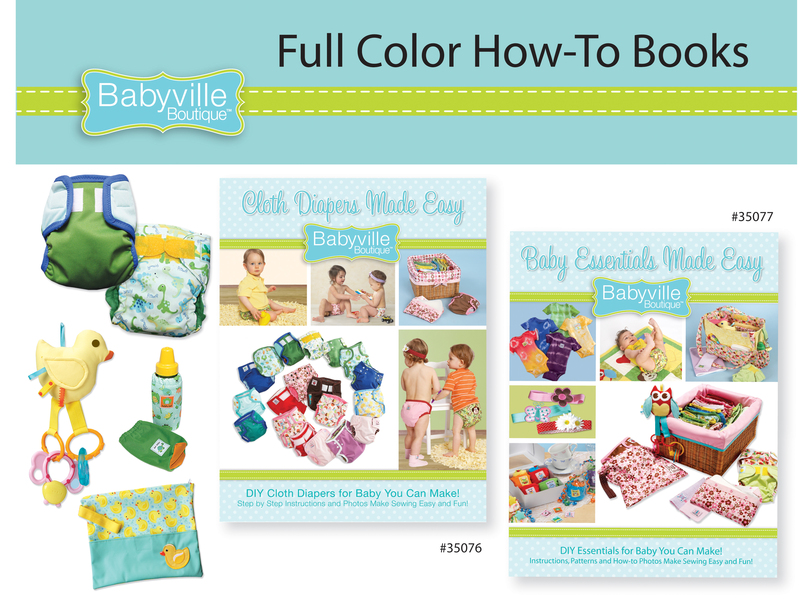 A tutorial is planned for the Babyville Boutique Blog and website. Complete instructions with photos for using the pliers are in the Cloth Diapers Made Easy Book, and also in the Baby Essentials Book. Might be a great product and can’t wait to try it BUT seems like they didn’t make enough for the market. I’ve tried every place online and they are all sold out and nobody has any idea when it will be back in stock. The only thing I could find were snaps, precuts, buttons and the velcro. I want the fabric by the yard and will keep looking and hoping they can replenish their stock or somebody else can come out with a similar product. Thanks for your comments. Babyville is available at most JoAnn Stores, some Hancock Fabrics, and Hobby Lobby. It is also available online from Fabric.com and other internet retailers, as well as some independent fabric and quilt stores. I hope you’ll be able to find some in your area. You can always use the contact link on the Babyville Boutique Facebook page, and they’ll be glad to help you. I sent you a pm to answer your question. All the products can be used for personal use or resale. On the pattern, if you intend to sell you just need to make sure the version you are using doesn’t infringe on any commercial patents. Absolutely you can use any idea here to recreate for sale unless otherwise noted on the project.